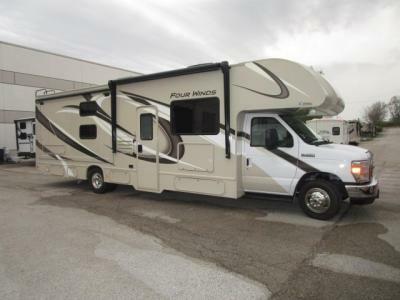 If you are looking for the perfect Class C gas motorhome for a large family, then you need this Four Winds coach! 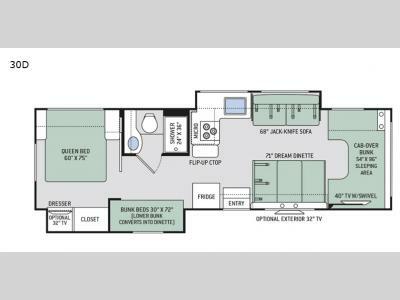 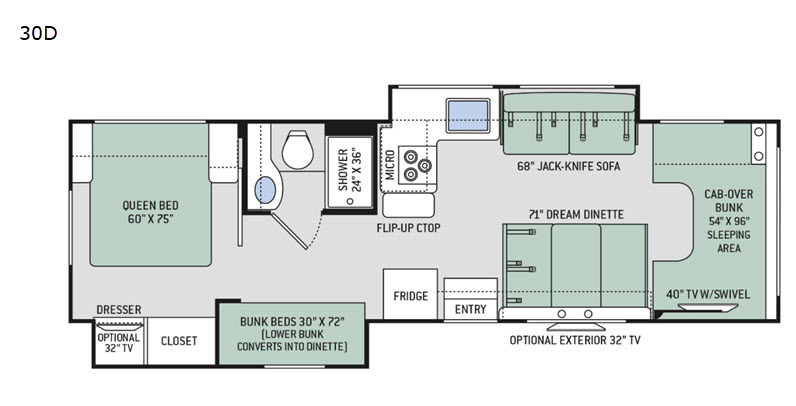 This double-slide model includes plenty of sleeping accommodations to sleep nine people with a set of bunk beds, a bunk over the cab, a private bedroom with a queen-size bed, a jackknife sofa, and a Dream Dinette. 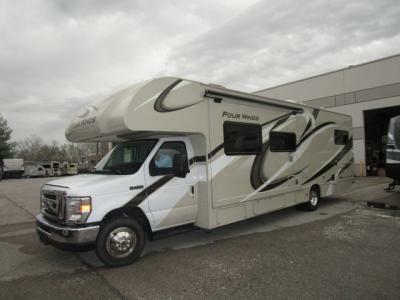 The interior is also useful for more than just resting each night because it includes both a full kitchen with a three-burner range and flip-up countertop, as well as a full bathroom with a 24" x 36" shower.